Bogged down with building SSIS packages? Developer teams building data-centric applications on the Microsoft data platform face challenges when using SQL Server Integration Services (SSIS) for data extract, load, and processing (ETL) tasks. Ensuring an efficient ETL design is one of the most important—but often overlooked—aspects of ensuring a high-performing data-centric application. Inefficient SSIS performance costs your business in strained development time and resources, wasted processing power, and slow application performance. 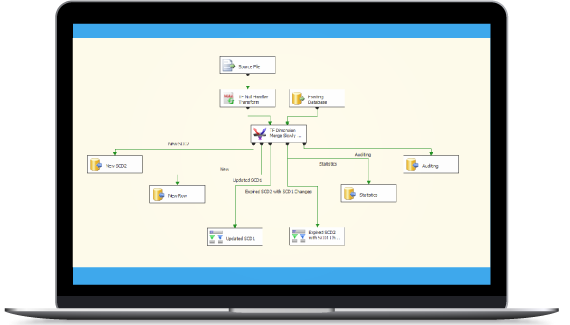 Task Factory is a set of 60+ high-performance SSIS components that are built to accelerate ETL processes. Task Factory simplifies component loading and data warehouse management. With Task Factory, you can connect to nearly any data source, which saves development time, especially when you're working with data warehouse scenarios with multiple disparate data sources. Task Factory is constantly updated so you can be sure that the SSIS components are optimized for compatibility with the latest version of SQL Server. And Task Factory can be used with Microsoft developers’ native environment—Visual Studio. 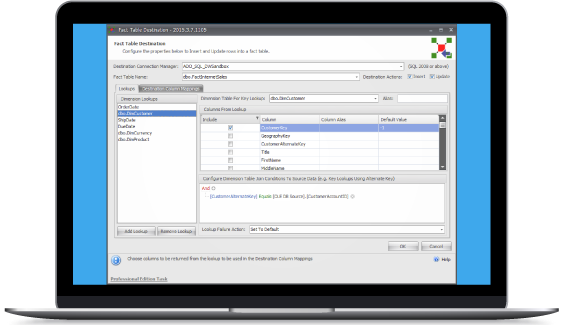 Task Factory eliminates tedious programming tasks for development teams using SSIS. Connect to dozens of different data sources from platforms such as Hadoop, SharePoint, Salesforce, Facebook, Twitter, and virtually any REST-enabled source—without writing any code. Development teams often face trade-offs between programming efficiency and application performance. With Task Factory, you can both eliminate needless programming of SSIS components and improve the efficiency of your data-centric applications in production. Productivity components include Secure FTP Task, data cleansing components such as the Null Handler, and more. 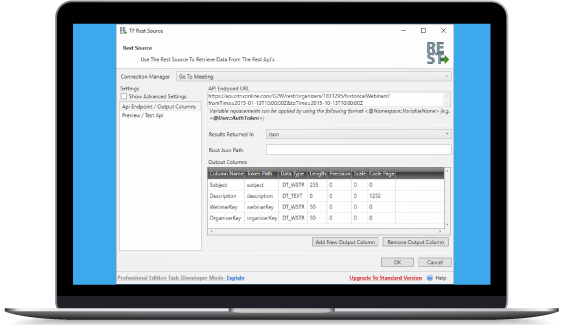 Accelerate performance of your data-centric applications with Task Factory high-performance components, including the Upsert Destination (which speeds batch processing), and the Dimension Merge SCD, which is a high-performance replacement for the Slow Changing Dimension wizard in SSIS. Accelerate the process of loading and managing data warehouses with Task Factory components like Dimension Merge SCD Transform, which helps you load a slowly changing dimension in SSIS much faster than with built-in components. Task Factory streamlines many tedious data warehousing management tasks, including upserting data. 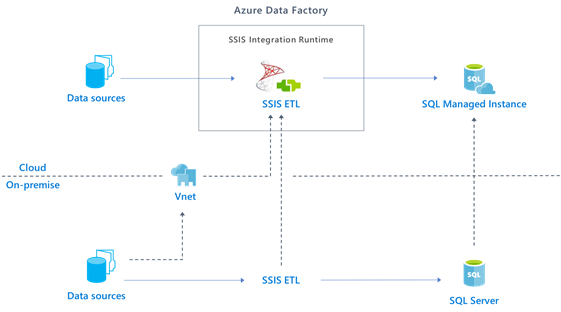 With Task Factory Azure Data Factory edition, you can run SSIS packages on Azure, so you can take advantage of existing data processes. Azure Data Factory edition allows you to pull data from and load cloud data sources just as you would with an on-premises data source. Task Factory is licensed per server instance. There is no license necessary to use Task Factory in the Integration Services development environment (Visual Studio, SQL Server Data Tools, or Business Intelligence Developer Studio). Please contact sales@sentryone.com for more information.